100% Acrylic heavyweight cable knit long sleeve cricket sweater. 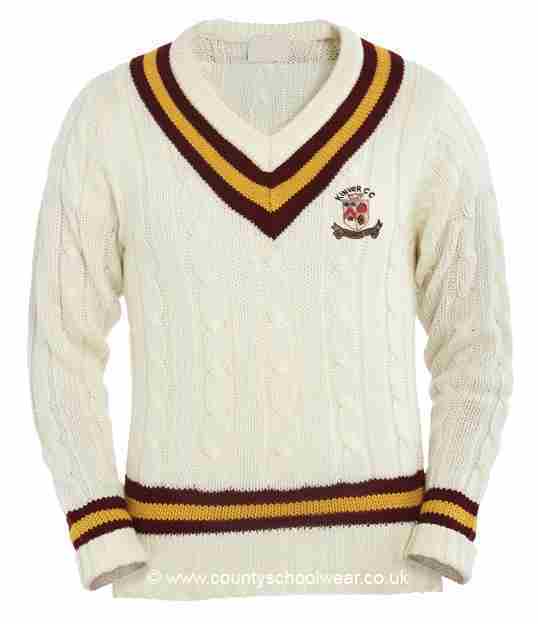 Traditional style cricket jumper with club colour trim at neck and waist. Embroidered with Kinver Cricket Club crest.